Went travelling by myself for this day. I started at the Barcelona Cathedral, which was really splendid already, but it was nothing compared to the Sagrada Familia (or so I heard). So I reserved Sagrada Familia for the next day, for the last, so that it would be a fitting culmination for all the awesome architecture in Spain. Made a small donation to get to the top of the cathedral to see the towers and the view from there. 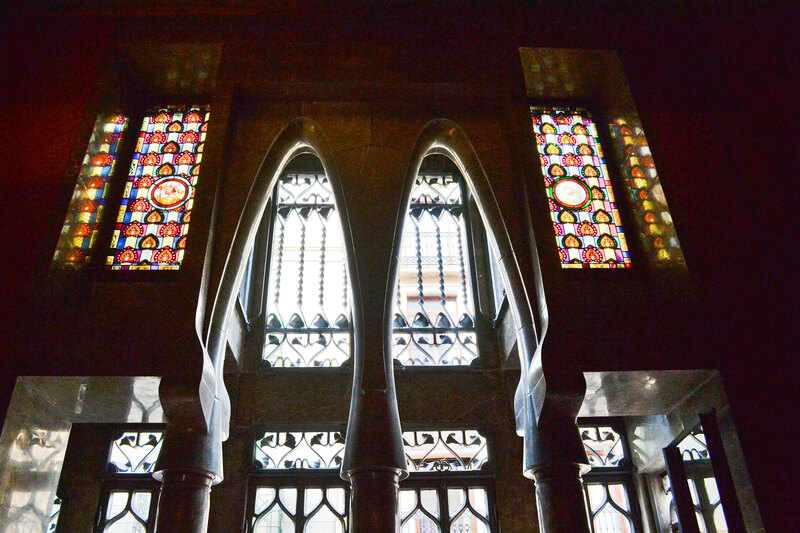 After visiting the cathedral, I decided to go to the nearby Palau Guell which was done by the famed Antoni Gaudi. 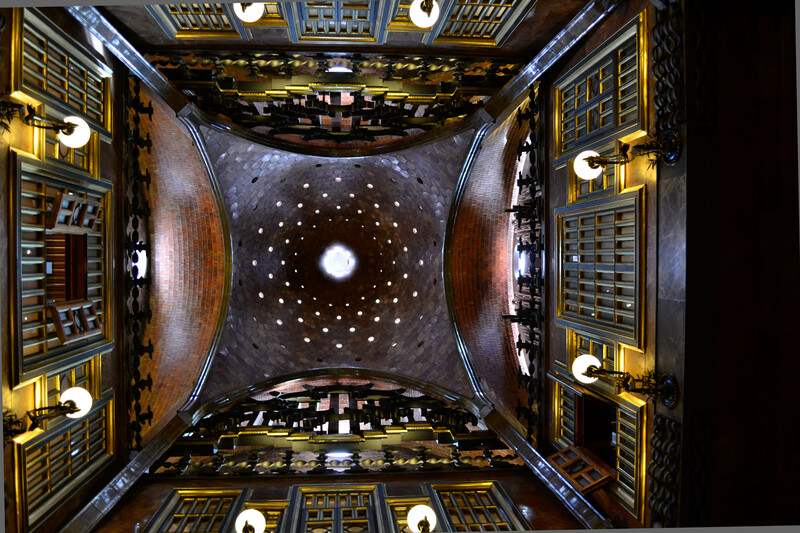 To be honest, I never looked up much of his creations, and it was on a whim that I decided to go to the Palau Guell, but I do not regret spending the money to enter the building, because it was magnificent. 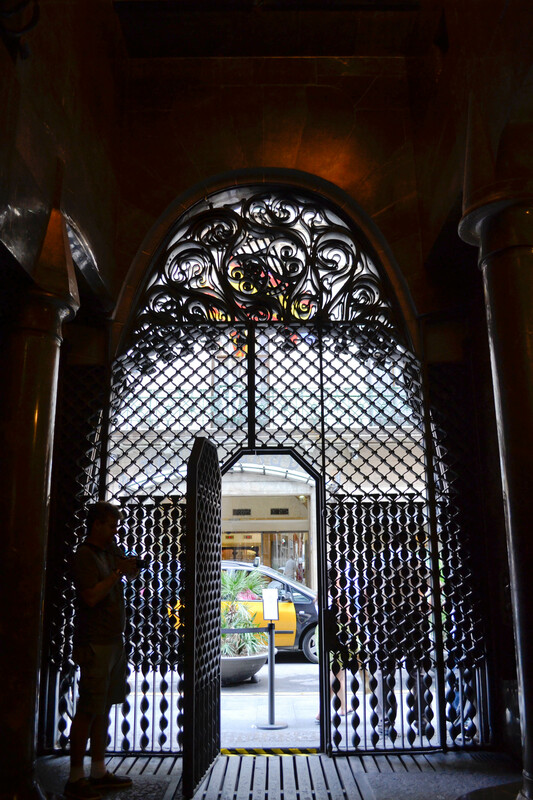 Front entrance of Palau Guell, where guests in horse drawn carriages enter through one door and exit the other. 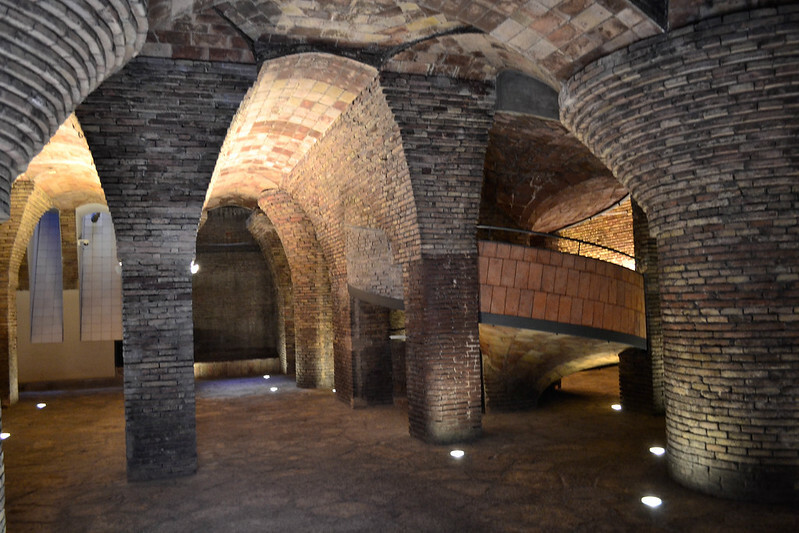 The famous mushroom shaped pillars in the stables of the Palau. 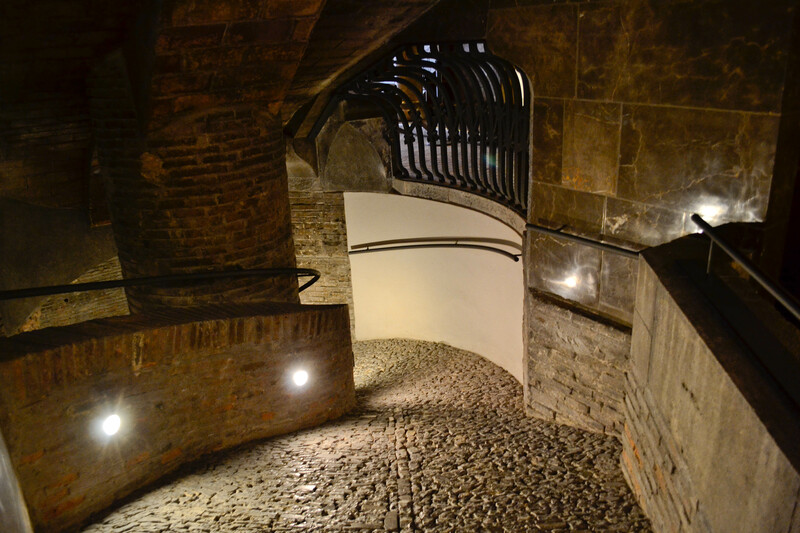 These pillars opened up more useable space while maintaining their structural use. 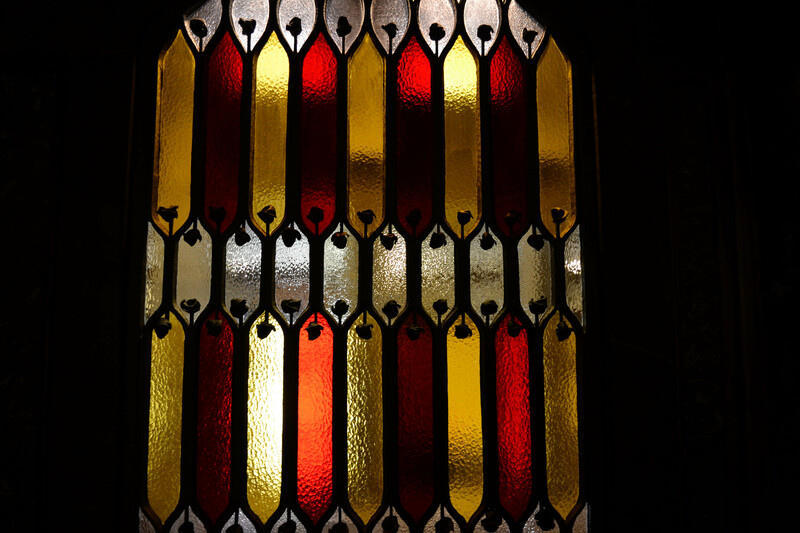 Guests to the Palau Guell typically entered by horse drawn carriages. Hence the mushroom pillars were brilliant in ensuring enough space for those. This is the large bay window, suitably embellished. Honestly how does one even begin to design such intricate details of structure. I AM IN AWE. 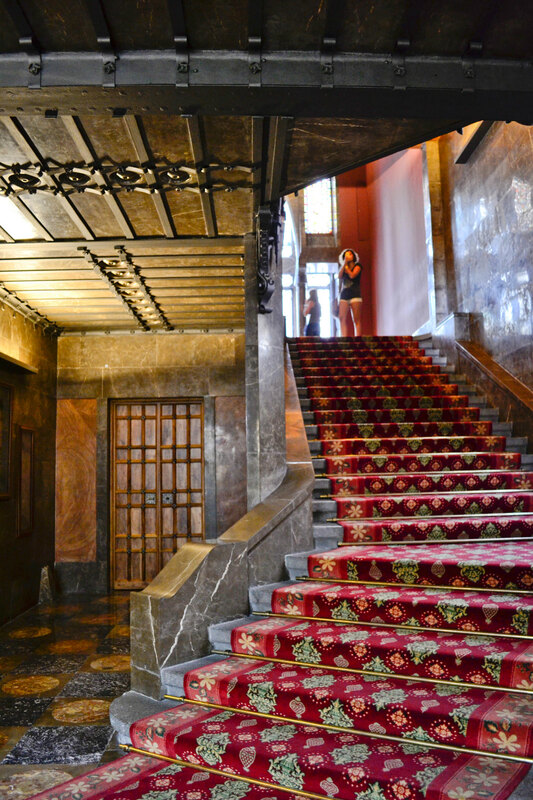 Also I kind of feel what I can only describe as sympathy for the craftsmen that worked on this palace. Such pain. Very hard. 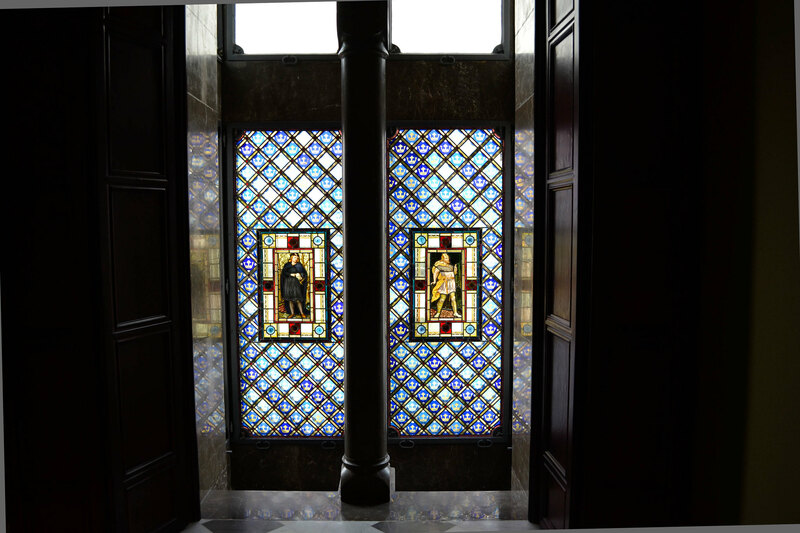 The ornate walls and ceilings of the receiving room disguised small viewing windows high on the walls where the owners of the home could view their guests from the upper floor and get a 'sneak peek' before greeting them, in case they needed to adjust their attire accordingly. 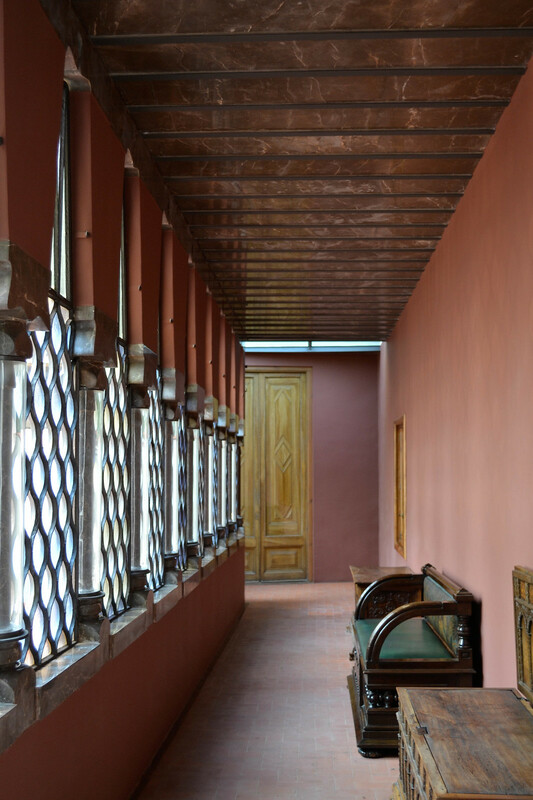 Such a feature is also seen in the Peranakan houses such as the Blue Mansion where the matriach of the house always sees her guests before they see her. 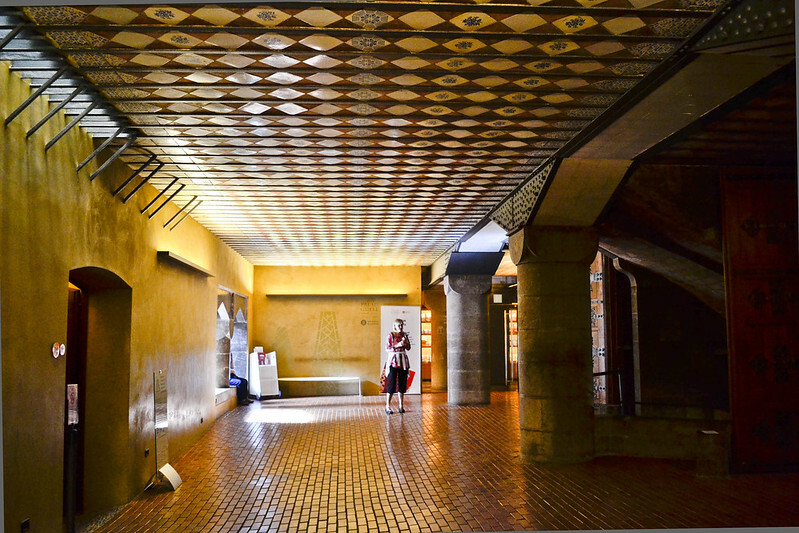 Somehow the experience of this house was like walking through a really intricate painting. Like every angle of this house had been thoughtfully adorned and composited. Well lit corridor for waiting. Needs no electrical lighting in the day. 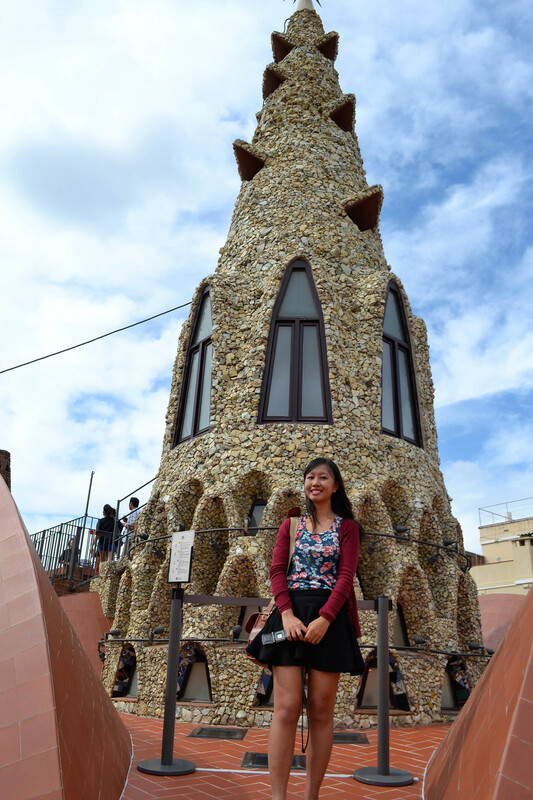 Colourful chimneys of the palau guell along with undulating roof surface. 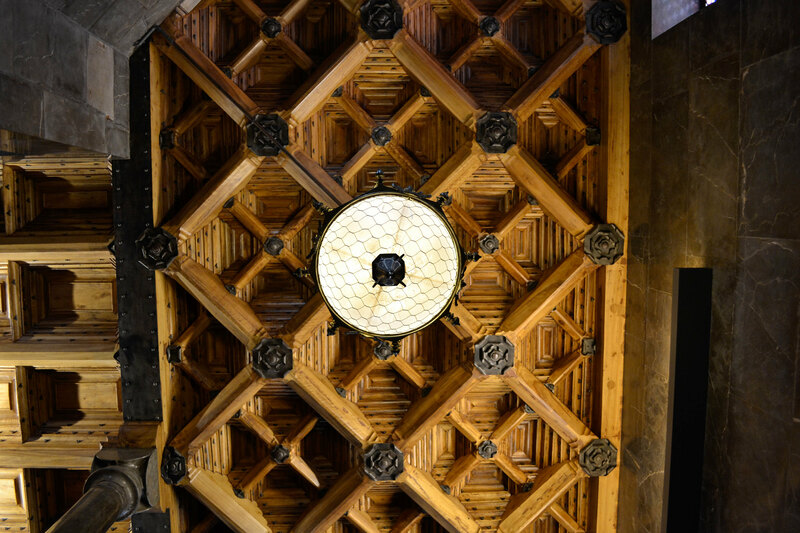 The roof features are a trademark of Gaudi's, with these showing in some of his other creations that I visited. Rooftop spire. Ohai! There I am for scale.